There is currently no cure for macular degeneration. 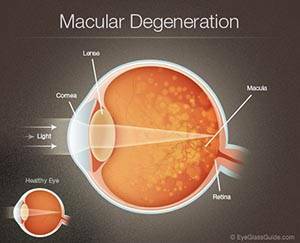 Macular degeneration treatment options exist that can slow the progress of the disease or improve vision based on the type of macular degeneration you are experiencing. To understand the risks and the limitations of all macular degeneration treatments, speak frankly with Dr. Krietlow and Associates. Early detection is important for Macular Degeneration and all eye diseases. Our practice uses all the latest eye technology including Digital Retinal Imaging and Visual Field Testing.